After watching the Live stream Beta at 40.20 I saw the export is pretty much basic, why not add more elaborate ones like Painter. Otherwise, we need to use the combination of tools with Designer. Every SDK game engine has his own way to export channel. The export is basic for the moment. 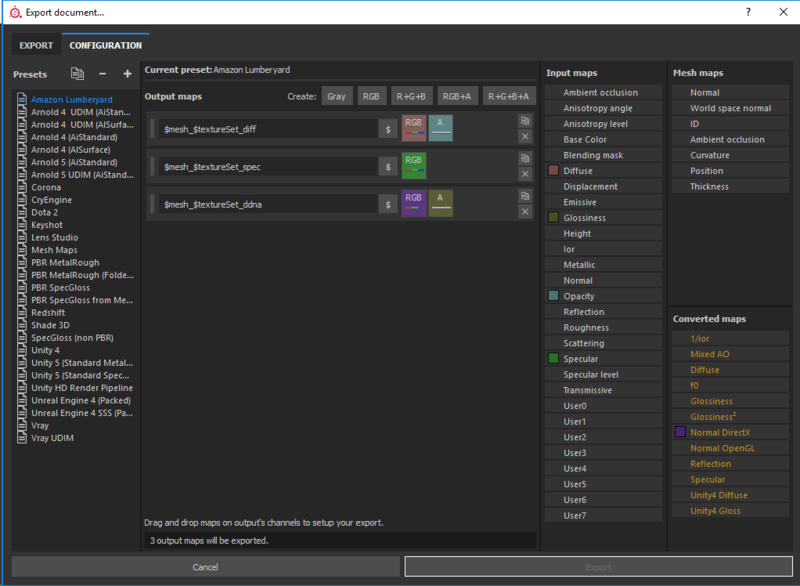 In the future, we will provide the same level of options as the Export feature of Substance Painter.